Many businesses outside of the US are looking to expand their markets and offer their products to US consumers. 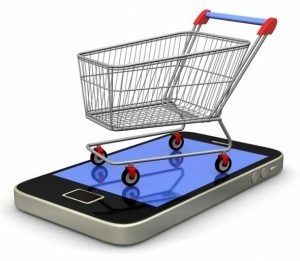 This is especially true if these businesses are primarily selling their products through an ecommerce platform. There are a few challenges involved in bridging that gap to online US sales. Most of US consumers are weary of making purchases from international ecommerce sites because they are concerned with lack of consumer protection, unsafe transmit credit information and unexpected taxes or fees on purchases. Colocating in the US is the first step to establishing a local online presence and increase buyer confidence. 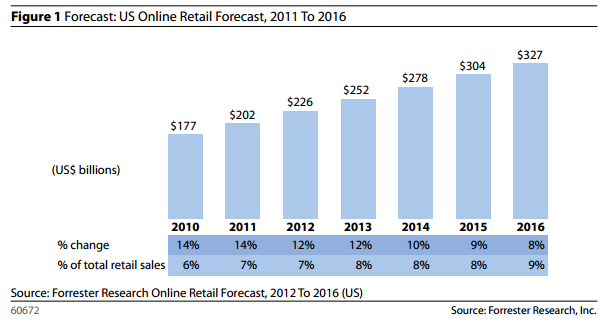 eMarketer reports that US retail ecommerce will rise 15.5% (to about $304.1 billion) this year. Forrester Research reports that online spending will increase to $327 by 2016. RetailMeNot reports that 55% of Americans are shopping online as opposed to 46% of Europeans. Statista reports that US adults spend 11 hours per day with digital media. Credit card companies are investing a lot of money and resources to come up with solutions that allow making purchases from your smartphone easy and secure, source. WorldPay reports that US consumers spend an average of 23% of disposable income online. A large number of them (8% polled) spend over 50% of their disposable income online. It is very clear that online spending in the US is at record breaking highs and it only going to grow more each year that technology advances. So as and international retailer, how do you get in the game? US consumer want to feel as safe shopping online and they do shopping offline and creating and infrastructure and online presence here in the US is going to give them the security they need to purchase from you. PCI Compliance – Payment Card industry Data Security Standard (PCI DSS) is a set of standards for providers and merchants to make sure that cardholder data is being protected when stored and transmitted online. Becoming PCI compliant is a very complex and technical responsibility. It requires investing money into proper firewalls, anti-virus software and many hours of technical support to ensure the proper security systems and processes needed to protect data. Remaining compliant requires constant updating and failure to update can result in very hefty fines and the ability to process transactions can be revoked. US consumers know that when an ecommerce website has the PCI compliant verification, they can trust that making a purchase online is secure. Global IT has a full staff monitoring its colocation centers 24/7/365 and undergoes monthly inspections to ensure that PCI requirements and updates are being maintained. Colocating in one of our US facilities will give your US customers the confidence needed to make purchases confidently. FCC Regulations – US consumers make purchases on ecommerce website within the US because they know that the FCC is busy regulating businesses in the US that are operating illegally. Many countries outside of the US do not have the same system where a consumer can file a complaint and the business will be investigated. US based businesses know that they will get shut down if they do not follow FCC standards. Federal Resources – Some countries do not provide stringent resources if your ecommerce website should ever get hacked. The US provides a variety of ways to report cybercrime if hacking should occur. There are many forms of cybercrime such as online identity theft, financial fraud, stalking, bullying, hacking, e-mail spoofing, etc. Cybercrime complaint resources such as Internet Crime Complaint Center (IC3), Federal Trade Commission (FTC), FBI Cyber Divisions Cyber Watch are US federal centers that allow you to make complaints of cybercrimes and will further research, develop, and refer the criminal complaints to federal, state, local, or international law enforcement and/or regulatory agencies for any investigation they deem to be appropriate. Colocating in the US give you direct access to these resources. Clean Servers and IP Addresses – Some ecommerce websites in countries outside of the US may be trustable websites, but they are hosted on servers that contain viruses or malware. Interaction with these website can result in fraudulent activity on their accounts or even identity theft. All servers in Global IT colocation facilities have the most up to date firewalls and anti-virus software, therefore, you never have to worry about malicious behavior from your website being hosted on a contaminated server. Our IP addresses are regularly scrubbed to ensure your email correspondence is never flagged as coming from a dirty IP. This helps your click-through rate if you are marketing to your US consumers. Faster Servers and Networks – America is considered the center of the word for internet aggregation. All international network operators have a presence on the East and/or West coasts of USA, for example in our West coast facility we have more than 300 Tier 1 network operators. USA is an ideal place to place your software and network services because of its accessibility and technical resources availability. This means faster and higher quality network connections from end users to our network. When you are in Australia or New Zealand and are shopping on online for example Amazon or Ebay you are accessing servers in USA. Many gaming sites are hosted in USA, so if you host a gaming business Los Angeles might better suit your audience. What you will notice is faster response times, connections to your servers and more availability which means improved customer experience and a happy customer. Talk to a Global IT consultant about ways to improve your customer experience and help increase your bottom line. Global IT has the infrastructure, engineering technology and the expertise to help you properly host and manage your ecommerce website. With colocation centers in three locations, we can guarantee uptime and speed to stream purchases 24/7/365 and can even mitigate should you come across a DDoS attack. Allow Global IT to expand into the US market and increase your online sales by unthinkable numbers. Call us now to schedule a consultation with one of our industry experts (877) 822-5565.